All are invited to take part in a Gourmet Ice Cream Bar at the the Great Hill in Central Park. Off 103-106 Streets and Central Park West. The 10 commandments - Hear them live! You've watched the movie but did you ever hear them in their original tongue? It takes 10 minutes...! 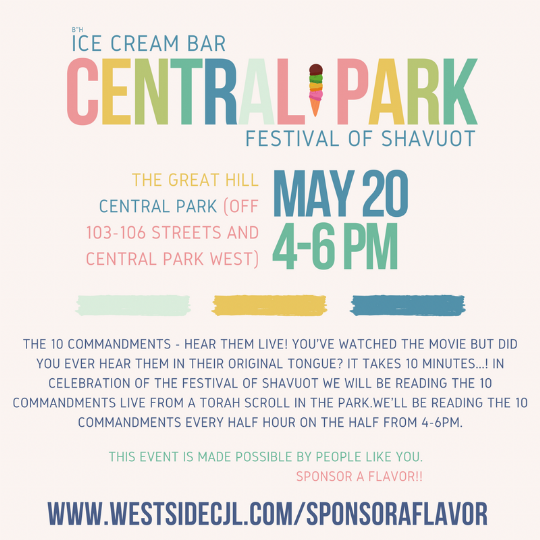 In celebration of the Festival of Shavuot we will be reading the 10 Commandments live from a Torah scroll in the Park.We'll be reading the 10 Commandments every half hour on the half from 4-6pm. Invite your friends. It'll be fun! 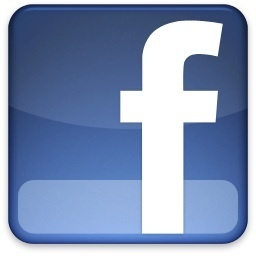 This event is made possible by people like you. If all flavors are sponsored this event will be completely covered!! Directions to The Great Hill: Enter Central Park either at 103 or 106 and Central Park West on the north side of the street – we will be located closer to 106th street near the washroom house.